Learn more about Louis and Lucille. All inquiries regarding the use of intellectual property rights and trademark rights, especially for commercial purposes to Lisa and Oscar Cohen. Or visit our licensing page to fill out a permissions request form. 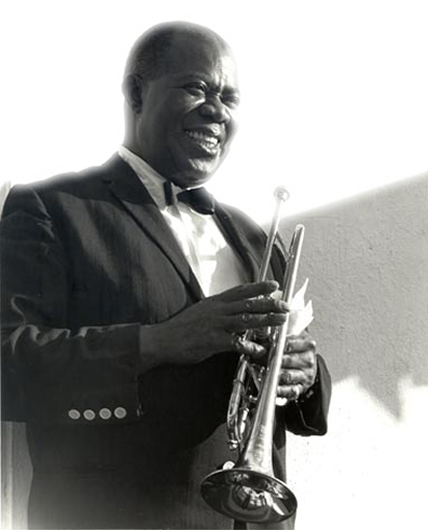 All inquiries and materials regarding grants, programs, projects, and speaking engagements for the Louis Armstrong Educational Foundation, Inc.
All inquiries regarding marketing and PR inquiries and opportunities for the Louis Armstrong Educational Foundation, Inc.